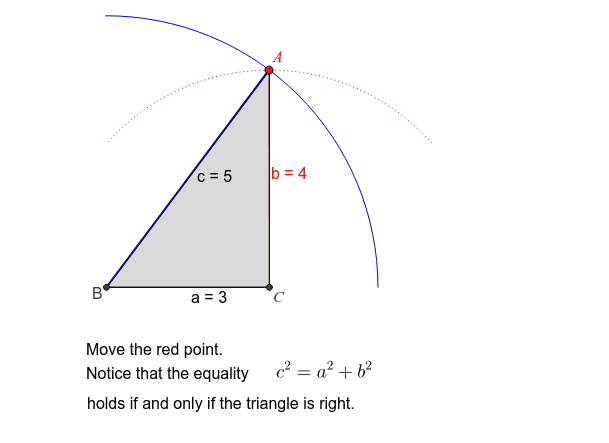 Move the point A along the red arc of a circle. When A is on the outside of the blue arc, the triangle is obtuse, and the hypotenuse is greater than 5. When A is inside the blue arc, the triangle is acute, and the hypotenuse is less than 5.